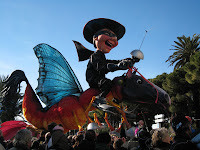 Nice Carnaval is the most important event on the French Riviera in winter. 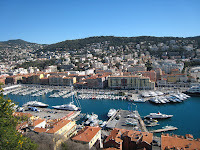 It embodies the cultural identity of Nice - by the wealth and the force of its popular prints. 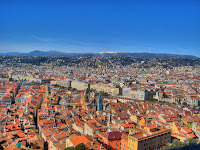 Every year, it gives the inhabitants of Nice a spontaneous opportunity to relive a period coloured with their history. 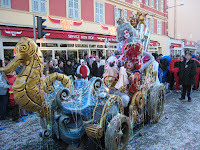 The first parade of "corsi grotesque" took place in 1873. 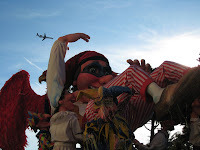 The carnavalier joins in the inheritance of the popular mythology and throws through his art, the certainties and the fears of his time, the fantasies and the dreams of his man's life. 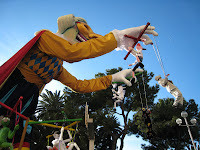 The carnival is considered as a festival of transition among winter and spring and represents the period of mediation which allows the communication between the world of darkness and the heavenly universe. 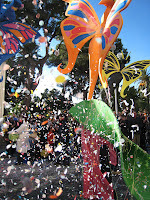 At the beginning of spring, the carnavalina declares itself; it is often the most exalting period: that of the conception, the search for the idea, for the creative spark. 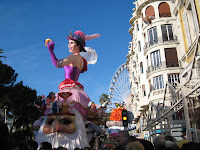 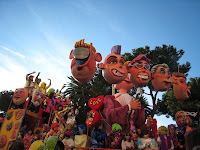 The carnavalier of Nice acquaints with the subject imposed by the Events committee for the next year, " the holiday " in 1987, " the centenary of Côte d'Azur " in 1988, " love " in 1989, " the laughter " in 1990, " Europe " in 1993... subjects which leave him a relative freedom. 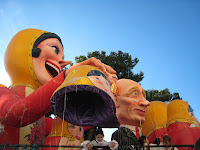 He makes drawings and paintings for his subject - float or big heads - with a model maker, and executes then the works necessary for the realization of his float or his group, with a small and specialized work force. 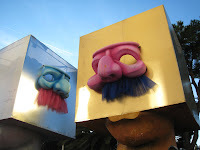 Long noses are stuck on faces and deformed bodies - masses of pasteboard more than two metres high amuse or frighten the children. 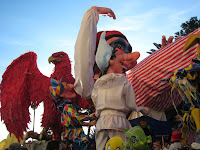 In 2009, Carnaval de Nice took place from 13 February to 1 March, and for its 125th year, the theme was Roi des Mascarades (King of Masquerades). 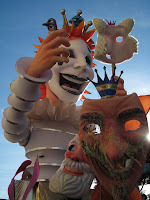 The theme evokes the art of concealment in every sense : wearing a mask, changing one's appearance, staging, in short the art of deception. 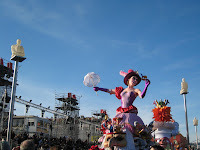 With 20 tall floats (up to 14 meters / 46 feet high), 20 flower floats, 200 "big heads" and countless dancers, musicians, and other participants - not to mention tens of thousands of spectators, it was a fun celebration. 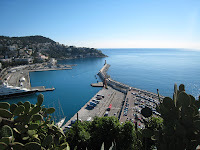 The Eagle, a heraldic symbol of Nice.